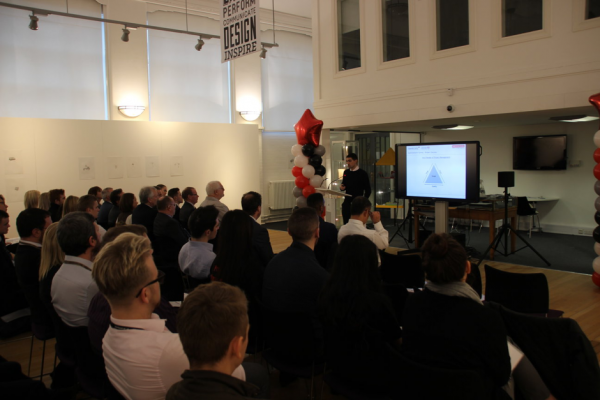 A conference by students at Blackpool and The Fylde College’s Project Management Centre of Excellence has been praised by industry figures. B&FC’s Project Management Centre of Excellence won the Queen’s Anniversary Prize for Higher and Further Education 2015 for its technical and professional work in partnership with employers – and students and staff were keen to launch an annual event which continued to build those relationships. The conference was titled Professionalism in Project Management and was designed to enable students to exchange a wide range of ideas and provide a platform to explore the concepts related to professionalism within the project management industry. It also presented a networking opportunity for students with representatives from local and national businesses. One keynote speaker at the event was graduate Alex Guarracino who recently joined B&FC colleague Russ Halton as the first college-based students ever to have their work commended at the international Undergraduate Awards, known as the ‘Junior Nobel Prize’. B&FC’s Lancaster University-validated Project Management BSc (Hons) programme has produced more than 200 graduates to date, with around 60% receiving First Class honours compared to a national average of 16%. The Project Management Centre of Excellence runs Higher Apprenticeships and Degree Programmes for Project Management including the new trailblazer levy funded programmes. More information can be found by searching for ‘project management’ on the Blackpool & The Fylde College website.